Did you take part in the last Challenge, I loved that sketch, it just made it so simple to put my card together. This time we have a Theme for you – Animals. 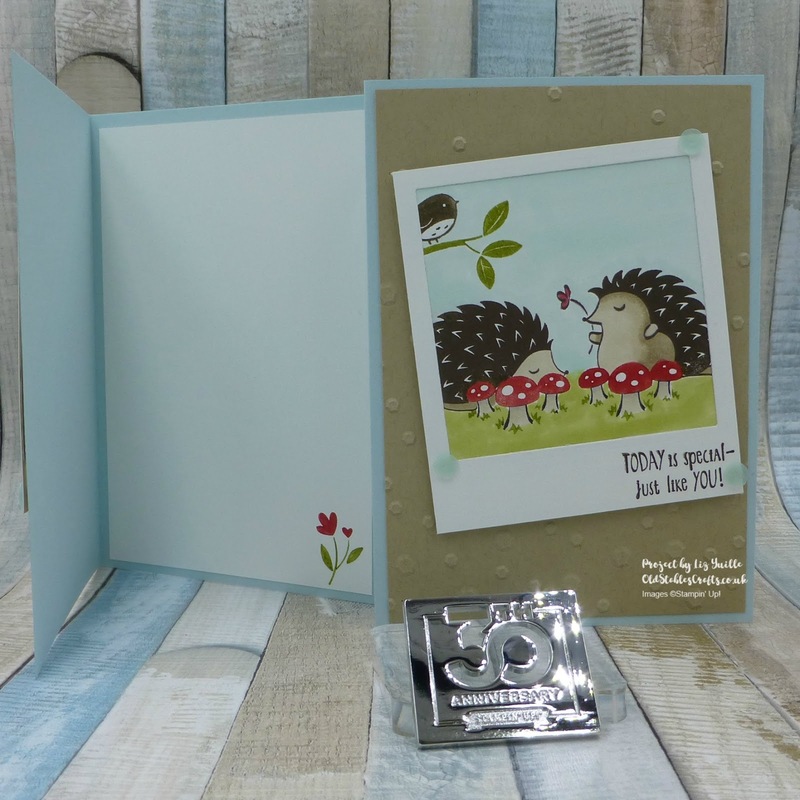 As I have fallen in love with the Hedgehugs stamp set in the Spring Summer Catalogue, the choice was easy. I thought I would make a fun and really cute card, which is perhaps not my usual style. I am so pleased with how it turned out. I really like the look of Poloroid photos, which are quite a ‘thing’ in Scrapbooking at the moment, so I thought I would borrow that style for this project. A bit of simple masking and some colouring (both on the stamps and on the images) and it all came togethere really easily. Add some texture with the Dynamic Textured Impressions Scattered Sequins Embossing folder and it was done. And it is really cute, and I LOVE it. I hope you will hop over to the Inspire Create Challenge website (just click on the image above) and take a look at what my fellow Design Team Members have come up with, and then have a go. We love to see all your entries.